An international conference taking place in Sydney is bringing together a range of education and technology experts from around the world to share their insights into how schools can drive improved outcomes into the future. 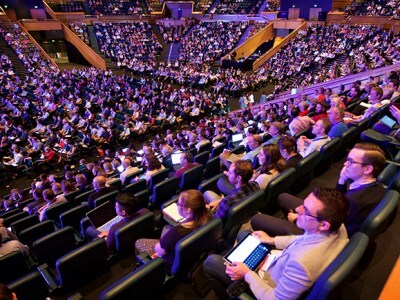 Being held at Sydney’s International Exhibition Centre, EduTech – one of the world’s largest education technology events – brings together more than 8,000 attendees from the entire education and training community. Keynote speakers include ACARA general manager, Stanley Rabinowitz, Peter Adams from the OECD and professor Carol Dweck from Stanford University. Other speakers include Secretary of the NSW Education Department, Mark Scott, Catholic Education diocese of Parramatta’s executive director, Greg Whitby and education thought leader, Charles Leadbeater. The event is featuring masterclasses on teaching students to code, setting up maker spaces, improving cybersecurity and the latest in BYOD technology. Leading technology providers at the event include Microsoft, Google, IBM, Dell and Pearson. One of the key themes of the event will be how schools can prepare students for the future workforce, which will require a strong knowledge on STEM education and creative problem-solving skills. Scott, who recently addressed the Committee for Economic Development of Australia’s (CEDA) Women in Leadership Series at the Hilton Hotel in Sydney, said a particular focus should be on developing a nationally cohesive approach to STEM. He pointed out that while STEM experiments are happening across Australia, they are not being approached in the same way as medical research. “We need double blind trials, fully controlled experiments and documentation of data so that when something works and works well, we can scale it quickly and effectively,” he said. Scott said that moving forward, the challenges that Australian schools face will take a “collective effort of educators, businesses, politicians and the broader community”. “A young child who started kindergarten this year will start university in 2030. Young people will spend most of their working lives in the second half of the 21st century. Many of them will live through to the 22nd century,” he said. “So when we think about how our schools function, how they operate and the skills our young people need, this is not science fiction. The EduTech conference concludes until 4pm today.